In the U.S., growers see grafting cucumbers primarily as a way to control soilborne diseases. But since grafted plants cost more, the technique has been adapted slowly. As a result, few have examined if the technique is worth adopting to solve other production challenges. As cucumber plants are extremely vulnerable to low temperatures, high tunnel vegetable growers currently are reluctant to start cucumbers as early in the season as they do tomatoes. As a result, growers lose the opportunity to sell cucumbers for a premium price in the early season local food market. Grafting for cold tolerance is already used in Asia. Specifically, grafting is almost a must for winter cucumber production in Chinese-style solar greenhouses. The main benefit is to improve crop tolerance to low temperatures. Cucumbers are grafted onto either winter squash or figleaf gourd rootstocks. I worked with a team of peers from Purdue University and other universities to evaluate if grafting extends the seedless cucumber production season in high tunnels. We found that it did. Location: In high tunnels located in USDA Hardiness Zone 6. All grafted plants survived the suboptimal temperature stress during the transplant period, whereas 59% of nongrafted plants died in the 2016 season. Irrespective of rootstock and cucumber cultivar, vine growth rates of nongrafted cucumbers in April of both years were lower than those of the grafted crops. 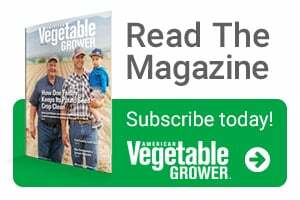 Cucumber cultivars ‘Excelsior’ and ‘Taurus’ grafted onto ‘Marvel’ winter squash rootstock had higher yields in May 2016 compared with the yields of the nongrafted plants in the same month. 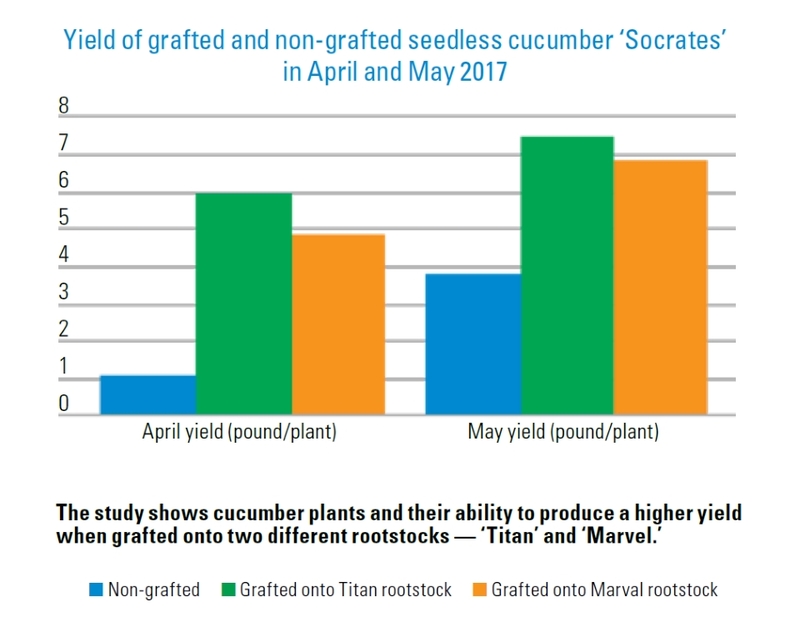 The enhanced early season yields of grafted plants were observed on cucumber cultivars ‘Excelsior’ and ‘Socrates’ in 2017, regardless of rootstocks. Grafting also increased the entire season’s yields of the three cucumber cultivars in 2017 but not in 2016. 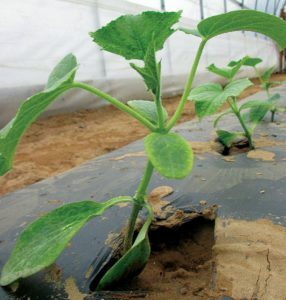 High tunnel cucumber growers are likely to benefit from grafting technology in two ways. First, increased plant survival rate; second, improved cucumber yield, particularly in the early months. Normally, cucumber plants do not grow when soil temperatures are lower than 63°F. Newly planted cucumber seedlings might wilt and die if soil temperatures stay below 55°F for an extended period. Under this severe environmental condition, growing grafted plants ensures a high plant survival rate. With early season production, growers are likely to achieve a strong economic return from growing cucumbers in high tunnels. In our experiment conducted in an unheated high tunnel in USDA Hardiness Zone 6, cucumbers planted in the middle of March started to harvest as early as in mid-April in 2017. Yields of the grafted cucumbers in April and May were significantly higher than normal cucumber plants. To our knowledge, very few nurseries are selling grafted cucumber plants. However, this situation is likely to change, as several vegetable grafting facilities are producing grafted watermelon or tomato plants. If the requests for grafted cucumber plants increase, these nurseries should be able to supply grafted cucumber plants. You can graft cucumbers by themselves. This technique is not rocket science. We are currently developing educational materials to teach farmers this technique. Companies such as American Takii, Rijk Zwaan, and Enza Zaden have developed rootstocks for cucumber grafting. You should be able to access these rootstocks by contacting these companies. Q: How common is it to grow cucumbers on rootstock, either in the field or in high tunnel production? Guan: Not many vegetable growers are taking advantage of this technique on cucumbers, whether in the field or in high tunnel production. We have an increasing number of growers who know about vegetable grafting. But the majority of the knowledge is on controlling soilborne diseases. Using grafting to combat abiotic stress — such as low temperatures — has not been well explored in this country. High-tunnel growers start to learn tomato grafting, but few of them know about cucumber grafting. Q: Research usually builds incrementally on what is already known. If that is the case with this study, what was known about grafted cucumbers prior to this study? Guan: The adaptation rate for cucumber grafting is very high in Asian countries, primarily for cold tolerance. In this case, we already knew grafted cucumber tolerates lower soil temperature. What’s unknown is whether this technique could fit into the current production system in the U.S. In China, for example, grafting is almost a must for winter-grown cucumbers in Chinese solar greenhouses, where cucumbers are grown all winter. Growing cucumbers in winter may not be practical for Midwest high-tunnel growers considering the energy cost. U.S. growers are more likely to start warm-season crops in high tunnels only when the chance for heavy frost is passed. With this in mind, cucumbers are exposed to suboptimal conditions for the first one to two months, then soil temperatures rise above 70°F, and conditions become optimal for cucumber production. We did not know what benefit we could get from this production system and whether it can be economically justified. Our study answered the first half of the question. Q: What would you like to study next? Guan: We also don’t know about rootstocks. Cucumbers can be grafted onto C. moschata, C. maxima, the interspecific hybrid, and figleaf gourd. In this study, C. moschata is used. This study indicated that the rootstock improved the early yield. We do not know whether it is the best one for our system. I am currently doing work to evaluate the different rootstocks. We noticed in our study that some cucumber cultivars grafted onto C. moschata rootstock produce fruit with shinier appearance compared to cucumbers from normal plants. Understanding the effects of grafting on cucumber quality and consumer preference are other focuses of my studies. Last but not least, benefits generated from grafting are likely to vary year-to-year, depending on the weather. In a colder spring, like what we have encountered in 2018, we saw a dramatic difference of grafted vs. normal cucumbers. We need to evaluate this technique for multiple years and conclude whether this technique is economically feasible for most high tunnel growers. Authors note: This research is based upon work supported by the National Institute of Food and Agriculture, USDA, under award number 2017-38640-26916 through the North Central Region SARE program under project number LNC17- 390. The research result is published on HortTechnology February 2018 vol. 28 no.1 74-79. 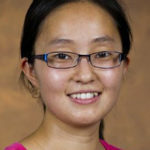 Wenjing Guan is a Horticultural Specialist at Purdue University. You can reach her at [email protected] See all author stories here.